Happy Earth Day & first day of Spring! 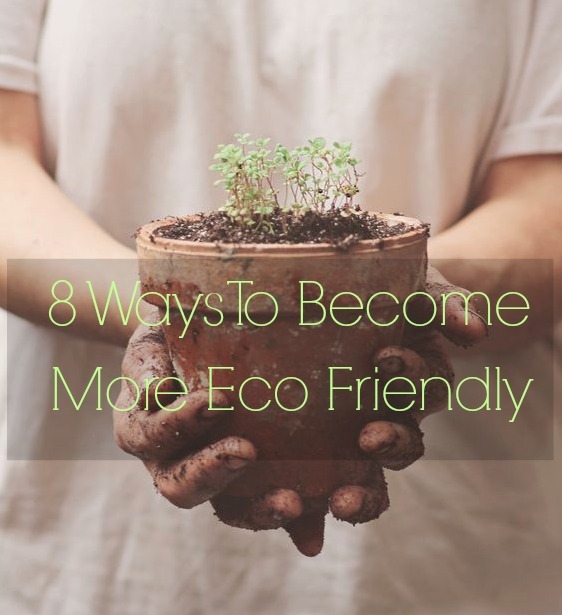 To celebrate, I wanted to share with you some easy ways to become more eco friendly. I still have a long way to go, but anything is a step in the right direction! Cut back on plastic and save some money while you're at it! I absolutely love my Swell water bottle. It is light weight, fashionable and keeps my water cold for hours. Companies are always giving out free bags, so you have no excuse not to have any. Plus, these are way more sturdy for heavy loads and long walks. No more breaking bags while getting from your car up to your apartment! If you want a trendier bag, here is a great option. My sister introduced me to these (shoutout to @raw.simple.wright) and I love them! They cut down the use of all those pesky plastic produce bags. I am such a meat lover, but I try to eliminate it from my diet one day a week. This helps reduce some of the waste that comes with producing meat and saves me some major money. I have two trashcans in my kitchen, one for waste and one for recycling. Be sure to know what you can and can't recycle in your area. This is a hard one for a lot of people, because the shower is such a warm and relaxing place. A good way to start with this is to time yourself and then take a few minutes off each day until you get to a number under 10. If you aren't already doing this, you are very behind! Go ahead and set up your bank statements, bills and all other mail to be emailed to you instead of mailed. You should also do this for tickets to movies, airlines, shows, sporting events, etc. Go grab a brand new plant to bring into your home. It will help destress your home, while purifying the air. Some of my personal favorites are aloe plants, snake plants, fiddle leaf fig and jade plants.